Congratulations! You’ve found the woman you want to spend the rest of your life with. That was easy, right? Here comes the hard part – choosing the ring and asking her to marry you. 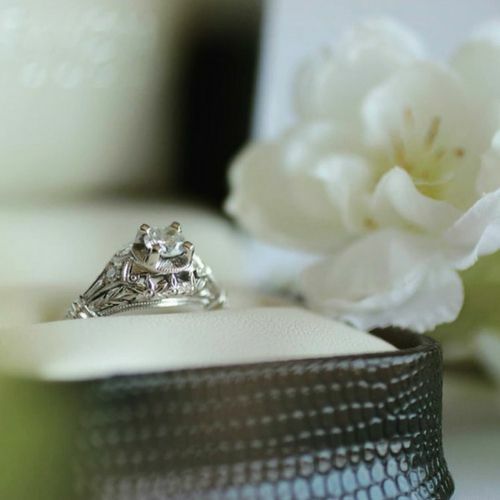 We’re here to help you find the perfect ring for your girl. 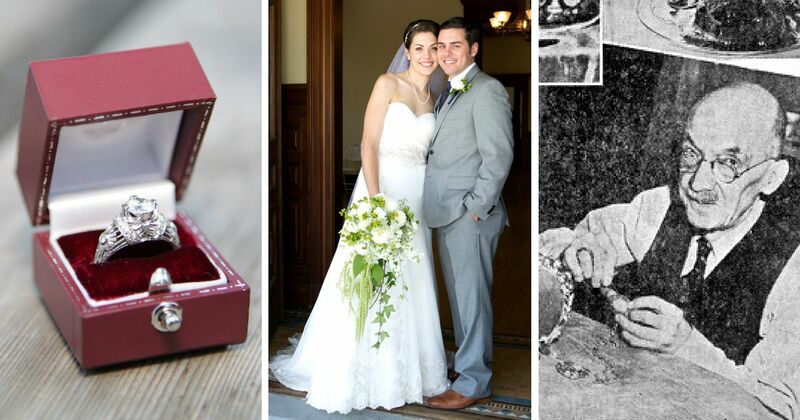 While many women have traditional or modern tastes when it comes to their ideal engagement ring, some ladies would prefer a more vintage style. 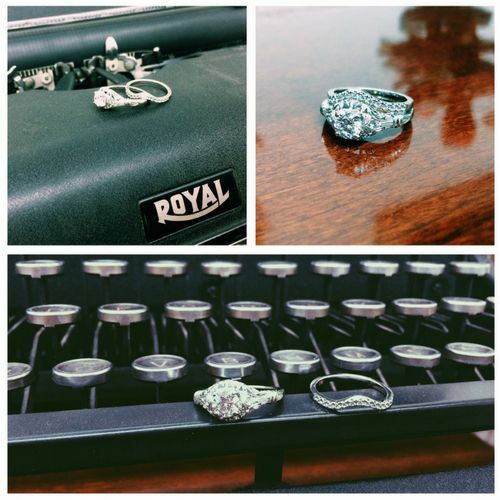 Not sure if your significant other would love a vintage ring? 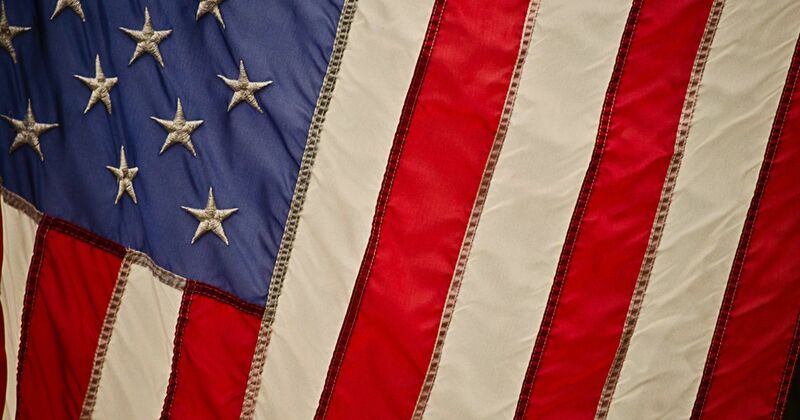 This flow chart can help you determine if a vintage ring is the right choice. Do you love having flowers in your home? 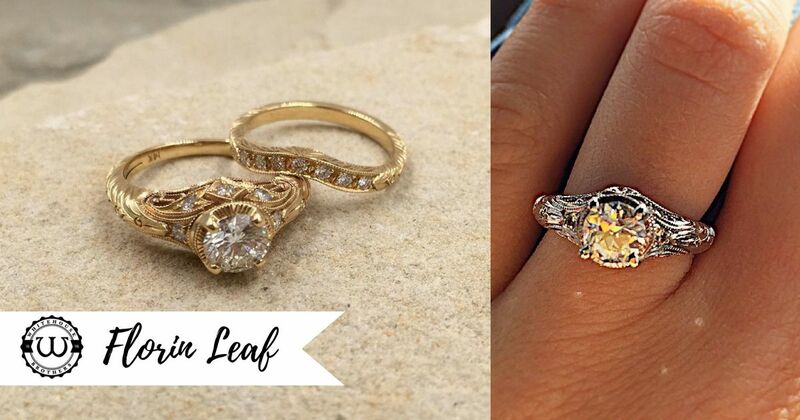 You can have flowers with you all the time with our Edwardian Blossom ring on your finger. 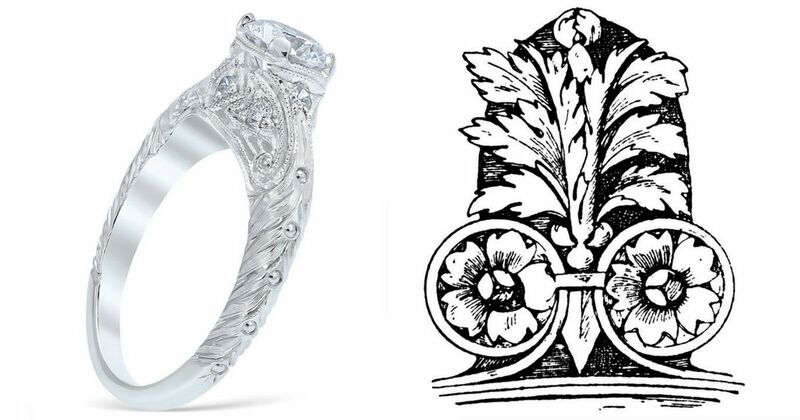 This ring was designed in 1909 by Frederick William Kolde in response to the emergence of lavish gardens and indoor floral arrangements of the Edwardian Era. The Edwardian Era is known for featuring floral motifs and patterns in clothing, furniture, jewelry and home design. While most of this ring design features the floral motif, Edwardian Blossom also is engraved with subtle scrolls and milgrain accents. The floral design is crafted in a traditional Edwardian Era leaf and flower-like pattern. 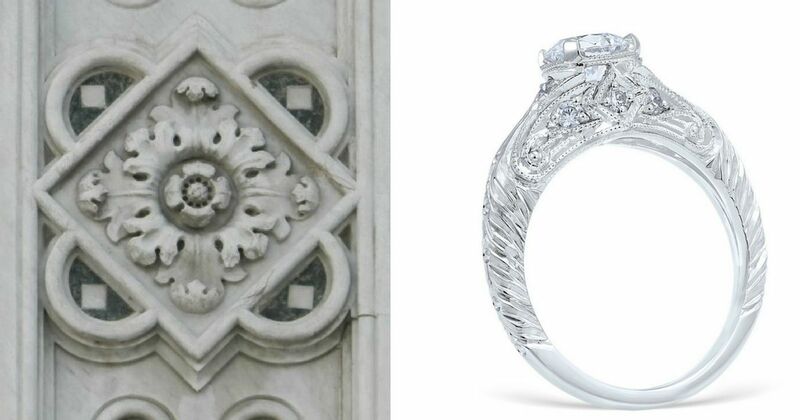 What is a Filigree Engagement Ring? Filigree is: "a delicate kind of jewelry metalwork, usually of gold and silver, made with tiny beads or twisted threads, or both in combination, soldered together or to the surface of an object of the same metal and arranged in artistic motifs." Apply this concept to an engagement ring, and there you have it! But really it is not that simple. 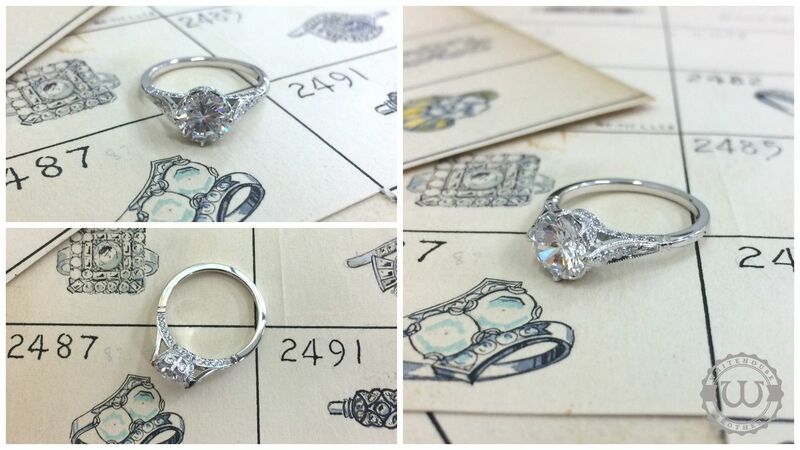 Introducing Whitehouse Brothers newest addition to the Vintage Engagement Ring Collection! 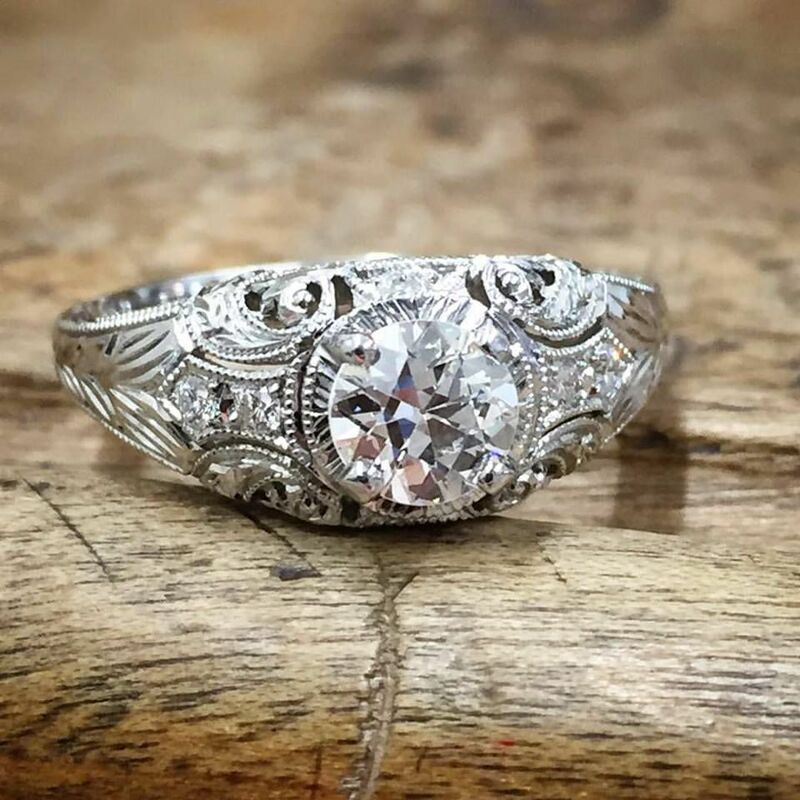 The "Laura" vintage style engagement ring featuring lace-like cascading drapery filigree, meticulously set diamonds and accented with milgrain edge. 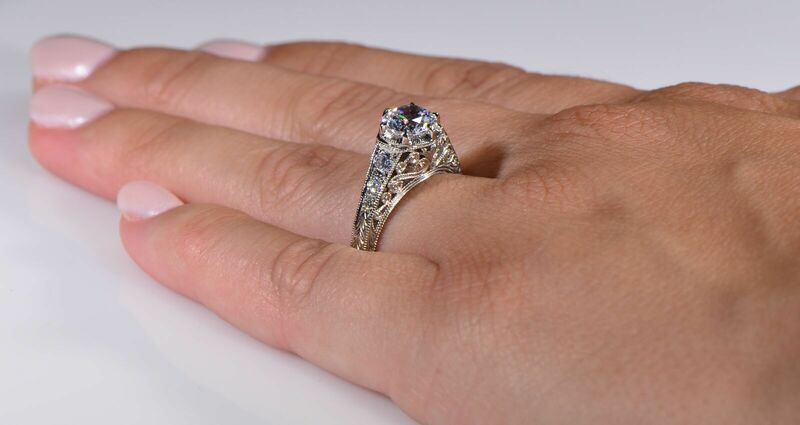 The newest addition to the Whitehouse Brothers "Vintage Engagement Ring" Collection, style #8387. 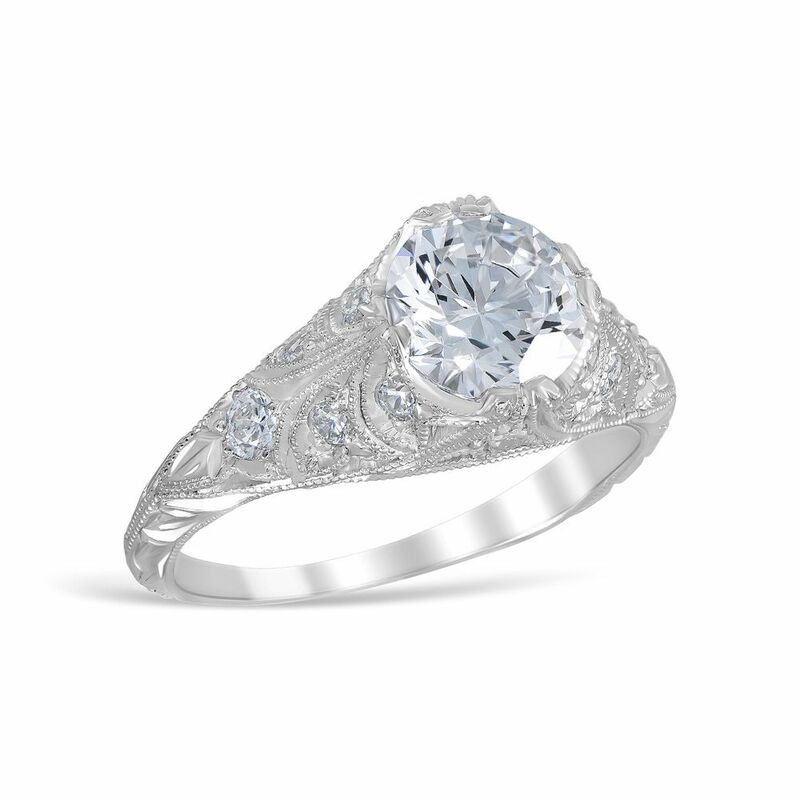 Featuring hand-set pave diamonds and a delicate 8 prong Edwardian Crown.